Please take a moment to help us out by completing the 2040 Regional Comprehensive Plan Questionairre. This spring, the Commission will be kicking off a formal process to update its 2008 Regional Comprehensive Plan. 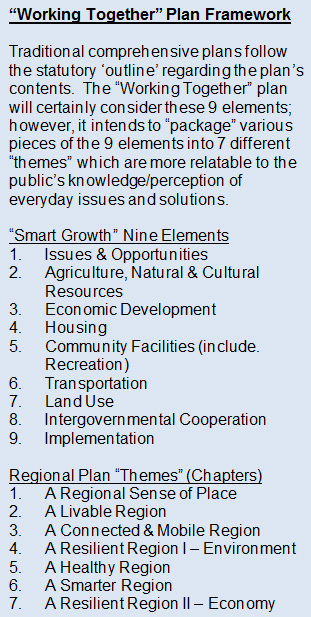 Comprehensive plans are developed for a 20-year planning horizon and must be updated no less than once every 10 years. Within the statutory provisions of Wisconsin State Statutes (SS) 66.0309, East Central’s main function and duty is that “of making (preparing) and adopting a master (Comprehensive) plan for the physical development of the region.” This basic enabling legislation is complemented by the comprehensive planning law, SS 66.1001. The updated regional plan will be entitled “Working Together: A 2040 Comprehensive Plan for the East Central Wisconsin Region” and covers a ten-county area in northeastern Wisconsin. The document will serves as an advisory policy document to guide where future conservation, growth, and development activities should occur at the largest of scales. When completed, the “Working Together” plan will outline a series of “best practices” that our counties and communities should consider in order to achieve better alignment and collaboration when dealing with issues of mutual (regional) concern. 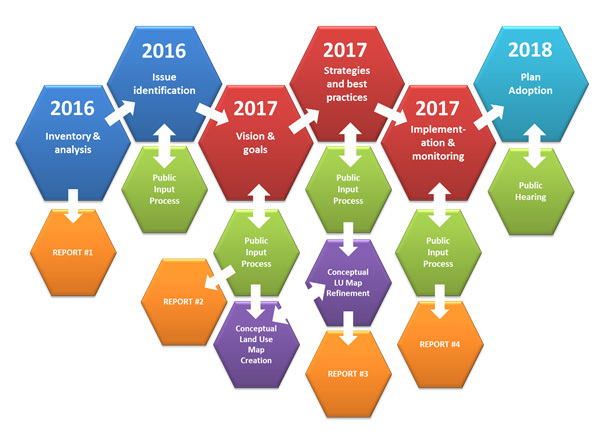 At the January 29, 2016 Quarterly Commission meeting, action was taken to kick off this process by approving an updated Public Participation Plan which outlines the process and public engagement efforts. The Commission firmly believes that public participation is the key to any successful planning process and that input should be sought at all stages during this process. The Commission’s planning and programming efforts benefit from a well-informed regional population. 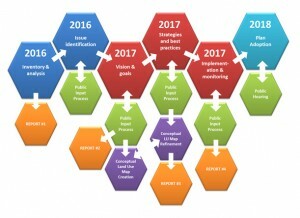 A number of structures, processes, and techniques are listed in this document that will be used to raise awareness of, and engage the public in the development of the “Working Together” report. During the first half of 2016, staff will be focused on updating all of the necessary demographic and GIS mapping information in order to accomplish the “inventory” tasks for the various plan elements. Initial input will be sought to help identify regional issues of concern and how those might fit within the plan’s newly developed framework of “themes”. On-line surveys, meetings with County representatives and the establishment of Technical Advisory Committees for each “theme” are just some of the tasks to be addressed in the coming months. If you have comments, questions or would like to be involved on a particular Technical Advisory Committee for this effort, please fill out the form below or call ECWRPC at 920-751-4770.